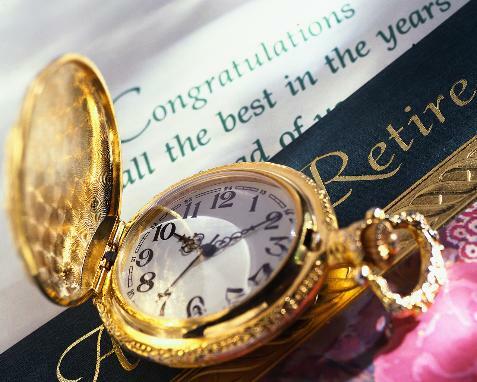 A gold watch represents the temporal disorientation of retirement. jobs, so retirement hit me pretty hard. one of the last things I think about. job." Sorry, Mother, but I never did. and my dreams have always involved writing and helping people. he gets a monthly retirement check; and I got a small lump sum. It's plenty for us to make house payments and live. forward to and dreading retirement, and I knew what she meant. and I suspected that I might not be able to return. perpetual holiday, and it's up to me to give it structure. with my husband Frank. Sometimes that is like a romantic dream. have since our early married life. That's been fantastic! we found ourselves bumping into each other! working and warning me if I'm in somebody's way in the market. written each month for the past eight years. somewhat gracefully and making a life without a job. go to the Huntington, one of my favorite places in Los Angeles. my memories and our photos for other family members to enjoy. chapter 3, with the list of activities that follows. Mission and My Goals," chapter 12 on "The Seasons of My Life,"
and chapter 13, "Eternity in My Heart." topics of the other articles in this website. subject of life without a job. laying out my monthly website.